I made this card almost one month back!!! My sister's friend ordered for a wedding card and she wanted a bigger one actually. But this size is the best I could make from a cardstock, its 11"x 5" approximately. Here the sentiment "mubarak alayk" means "Congrats (on your wedding)". Enjoy!!! Welcome all!!! 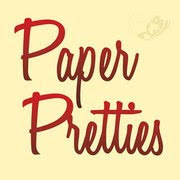 This Friday we are featuring a talented scrapbooker from Australia. Her projects are always fun and fabulous. And I'm very certain she will bring you smiles right now. Lets welcome Lynnda Hosni!!! 1. When did you first decide to make a page/layout/scrapbook and why? (for eg. any significant event that drives you to make an LO/album? 5. As you probably know, scrapbooking is an expensive hobby. 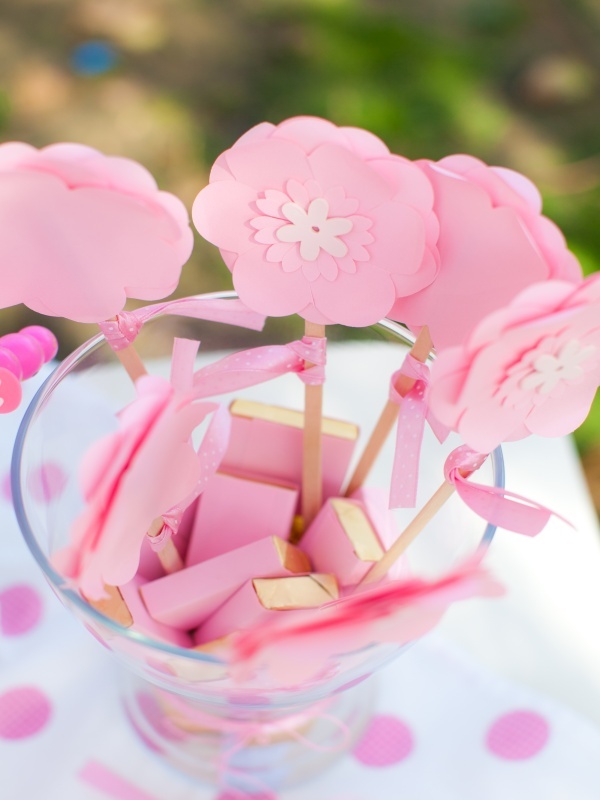 What drives you to continue scrapbooking and any tips for crafters with low budgets? 6. From the 3 layouts you have shared, describe the most creative design you used. Can you see that pearl accent in the letter "O"?! Thanks for swinging by and see YOU tomorrow at Fascinating Fridays!!!! 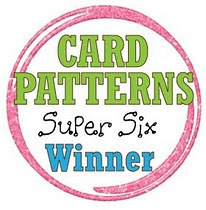 1.How and when did you start Cardmaking? I started cardmaking one year ago and have been excited ever since. It's such a fun hobby that stimulates and nurtures your creativity. I came across cardmaking by pure chance while searching online resources for jewellery making and since I've always loved drawing, colouring and creating, it felt just so right for me. 2.From where do you draw your inspiration? Mostly online. It's really great that there are so many stamping companies and crafting ladies who share their techniques and ideas online. I spend at least an hour a day browsing my favourite sites and blogs. There are tons of tips and so many fun techniques to try. 3.What are your favorite companies? I can't say I have a favourite company but at the moment I am particularly fond of the DCWV papers - they have adorable designs, great texture and they cut so easily. 4.What are the 5 top tools in your crafting space? 5.How long does it take you to make a card that you are happy with? Well, that's a tough question. Sometimes I would spend an hour just looking at different papers and embellishments and sometimes a great card would be ready in minutes. I guess it all depends on the mood and what some crafters call mojo. If it's there, you'll get a beautiful card in no time at all, and if it's not, you'd better call it a day. 6.What do you do with the cards that you make? So far I am mostly sending them to my family and friends who would soon need some new furniture to accommodate my cards. 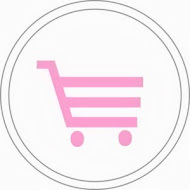 7.Do you post your cards in a blog, gallery, forum? 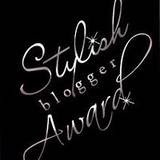 I am blogging at www.the-paperfairy.blogspot.com. I was a bit cautious before starting my blog, but now it feels so good to be able to share my cards and paper projects and feel the love send by fellow crafters. 8.Are you currently designing for any blogs? Not at the moment, but I certainly hope I will one day! Thanks for swinging by and see you tomorrow with a new talent at Fascinating Fridays!!! Thanks for viewing and have a wonderful time!!! Thanks for peeking and don't forget to enter the giveaway at 'Paperie Designs' Facebook page!!! Today we're featuring a very sweet and talented lady .. all the way from Malaysia. Amna (Team Member) confessed that she loves this featured artist's segment as it makes her feel as if she's traveling around the world :) It is true as Maritza said .. "a single paper strip can sure open up this world and let us befriend many nice and creative individuals". So lets meet Asma..
1. How did you start with paper quilling? I can't really remember the exact date, but it was somewhere on year 2004. 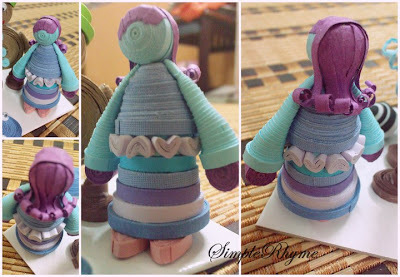 I found this art accidentally online (while google-ing for craft ideas) and at the beginning, I didn’t even know it's name! I learned by observing and by trying, I didn’t know anything about tools and such, and started cutting the paper strips using a ruler and a craft knife. 2. What about your other resources? 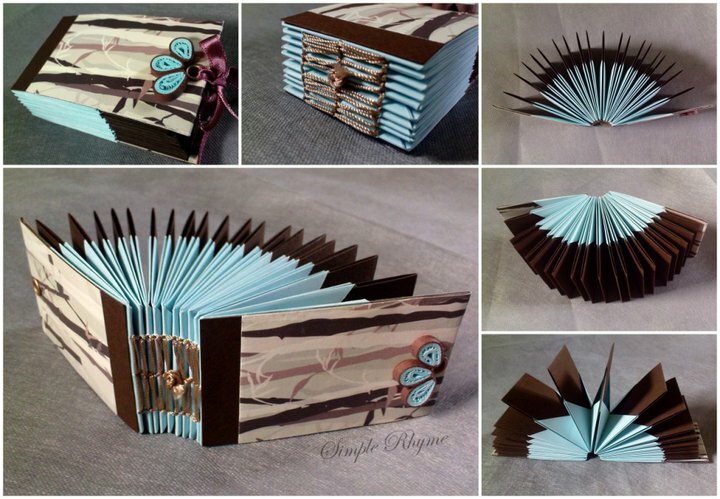 I love reading books about all arts & crafts but especially paper crafts such as paper quilling, origami, book binding. But my main source I have to say is online, since its reachable and accessible any time. There are many creative people out there that display their work on the internet, and I can easily get in touch with them thru the internet. But books also contribute a lot in inspiring me, as well as other people surrounding me as I always spend my weekend reading craft books at bookstores and hang out (talk about craft for the whole day) with my family and friends as well as other local crafter. 3. What can we know about Asma the artist? As an artist, I love to make something new. even I learn a lot from other crafters, but I always make sure I can came up with my own designs. I love to be inspired and I want to inspire others. 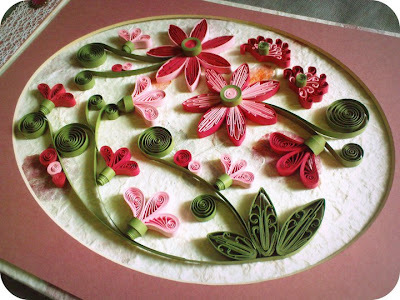 I love to try other art forms sometime and always try to combine different arts & methods into quilling. 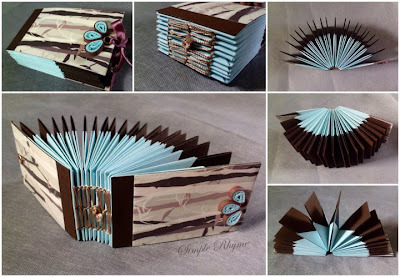 Other forms of arts that I like are bookbinding, cartonnage (the art of making box), origami, letterpress, scrapbooking, crochet, sewing, and many more actually. 4. So you’re studying? Does practicing hobbies affect your studies or any aspect of your life? 5. Do you teach arts & crafts as well? I am really new in this activity since I just get in touch with local crafter recently. But throughout the year, I attend some workshops and sometime help other crafter as assistant instructor in her workshop. But usually I just teach informally for those who ask from me. 6. What value do you have from arts & crafts? I sell my art so basically the benefit is in terms of money. But other than that, I actually gain appreciations, critics and comments from people. through this kind of benefit, I can always figure out how to improve myself and at the same time maintain my good skills. From my art also, I gain self satisfaction and it completes my life. 7. How can we view your work or get in touch with you? Don’t go away .. We still have Asma’s work to show you. So stay right where you are and admire!!! 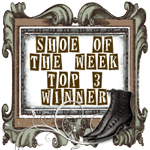 Woohoo, I won the Top Three (Top Six in this case) at Pile It On Challenge. Today's card is girlie-its for a new 'Little Princess'. I stamped the background with versamark then adhered the punched solid paper. On the other hand, 1" circles were cut and adhered to the 3" circle. Lastly, tiny mini stickers from K&Company were placed randomly. 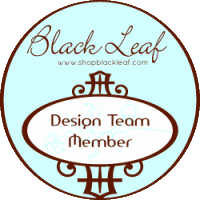 Am so thrilled that I was chosen by dear Hana to be a member in her creative Design Team!!! Woohoo, check out the announcement HERE. Can't wait to start!!! What else do you expect from generous Hana?! Yes, you're absolutely right - a GIVEAWAY!!! I'm still exploring the world of inking and coloring as I'm used to papers and embellishments more :) I colored these flowers with water colors that have been mixed to coordinate the patterned paper. Then I applied my new Glossy Accent and set to dry. As you see, the background was stamped with the same flower by Versamark.